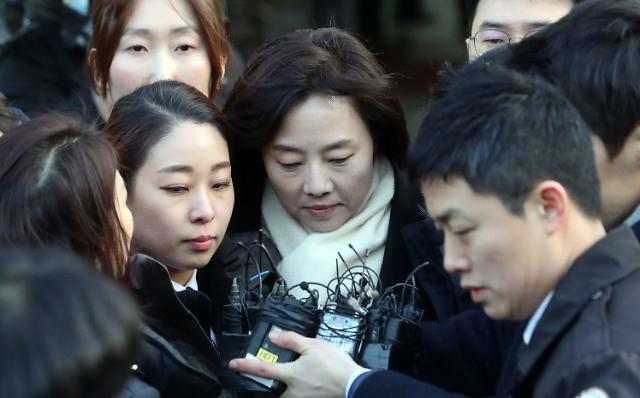 South Korea's culture minister offered to resign after she was arrested Saturday over her alleged role in blacklisting thousands of artists and cultural figures regarded by the conservative government of President Park Geun-hye as anti-government. A Seoul court issued a warrant to arrest Cho Yoon-sun on charges of abusing authority and perjury. She was charged together with former presidential chief of staff Kim Ki-school. The arrest was part of an investigation by a team of special prosecutors into a corruption scandal involving Park who is on trial at the constitutional court after being impeached by parliament. 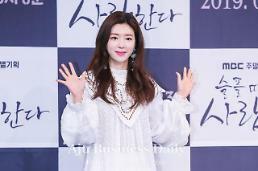 The team promised to investigate Park's possible involvement in the creation of the list. Cho became the first incumbent minister to be jailed since Park took office in early 2013 as South Korea's first female president. Cho offered to resign later and Prime Minister Hwang Kyo-ahn, who serves as acting head of state, said he would accept her resignation. Cho and Kim are accused of playing a key role in creating and managing the blacklist intended to stop cultural figures from receiving state support. Cho served as the senior presidential secretary for political affairs from 2014 to 2015 and became the culture minister last year. Kim served as the presidential chief of staff from 2013 to 2015. The list allegedly named nearly 10,000 people including famous movie director Park Chan-wook, who won the grand prize at the Cannes Film Festival in 2004, and Han Kang, a fiction writer who won the 2016 Man Booker International Prize for her novel "The Vegetarian". On the list is Ko Un, a poet imprisoned many times for pro-democracy activities. He is routinely mentioned as a candidate for the Nobel Prize in Literature.